Walking the floor at the PPAI Expo in Las Vegas an interesting thought occurred to me, “Knowledge is the new money”. Every single attendee there was combing the aisles for new ideas. Powered by these ideas they will go back to their respective cities and sell these ideas for money. It is that spark that is interesting to me. Why did they travel all the way to Las Vegas to go to a trade show booth to see a product that they could have reviewed in a catalog or online website? What’s going on with that? Doesn’t email marketing work? Don’t we live in a “digital economy”? Based on the number of trade show email unsubscribes I’ve clicked this week I’m not so sure. The reason for attending is simple, to gain better knowledge. Sure, with digital marketing you can get the color, dimensions and the pricing grid for products. But you can’t sit in the chair to see if it is comfortable. You can’t feel the solidity of the aluminum pop-up tent poles. Your hand can’t touch the shirt to feel the softness of the cotton. You can’t have the software rep hand walk you through their tech and explain the value to your face. To be able to sell these ideas to another person with grace and ease more information has to be gathered first hand. It shouldn’t stop there either. Over a beer, I listened to Brett Bowden from Dallas Texas based Printed Threads talk about his recent trip to Haiti as part his involvement with Allmade. Brett toured the Allmade factory, met the people that worked there and even hiked up a mountain. He showed me fantastically beautiful pictures of the island, and also shots of handmade bags that were made from scraps. People are literally gathering waste items and making valuable products from it. It’s inspiring. The impact that trip made on him was evident. It’s one thing to support a company that is trying to make a difference in the world, but quite another to travel to a third world country and experience it yourself. Again, it was the knowledge that was obtained by soaking in the information first hand. Not an article. It wasn’t in a documentary. It was Brett walking around and meeting the people that are making an impact on the lives of others on that island. That authentic experience he will have in his pocket when he talks to a customer about why using an Allmade apparel blank makes sense for their order. It is the knowledge of traveling to Haiti that gives him that resource. 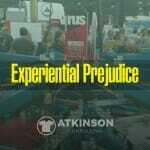 But for a lot of people, they can’t break away from what they are doing to travel to Haiti or even a trade show. How should they learn? What should they do? Over the years I’ve met thousands of people. The ones that are successful almost always have one trait in common, they are constant learners. Most read consistently. Others learn by doing. What they aren’t doing is just sitting there stagnant in the water. For me, new information comes to me in two ways. I like to read, but I like talking to people too. Reading is the easy part. You only need time and the material to consume. This could be a book, magazine article, or even a blog like this one. In a pinch, a lot of these are also available in audio form so you can get the information while you are doing something else such as driving. Talking to people is the fun part. I’m a social guy, so I like asking questions. People will tell you what they think. But you have to get out there be available for that handshake to start the conversation. What’s great is when you are struggling with something, or don’t quite have an idea worked out. Getting someone else’s point of view can tip the learning sometimes into a better position. You aren’t going to get much if you just wait for it to come to you. Instead, you have to dedicate time and maybe some resources to capture that new knowledge. This means carving out chunks of time. Your goal should be to become interested in finding the right information that can be translated into new ideas for your business. Knowledge is the most valuable when you know something that other people haven’t learned yet. That’s why people flock to trade shows. They want to find out about the new. That new knowledge can be marketed and sold. 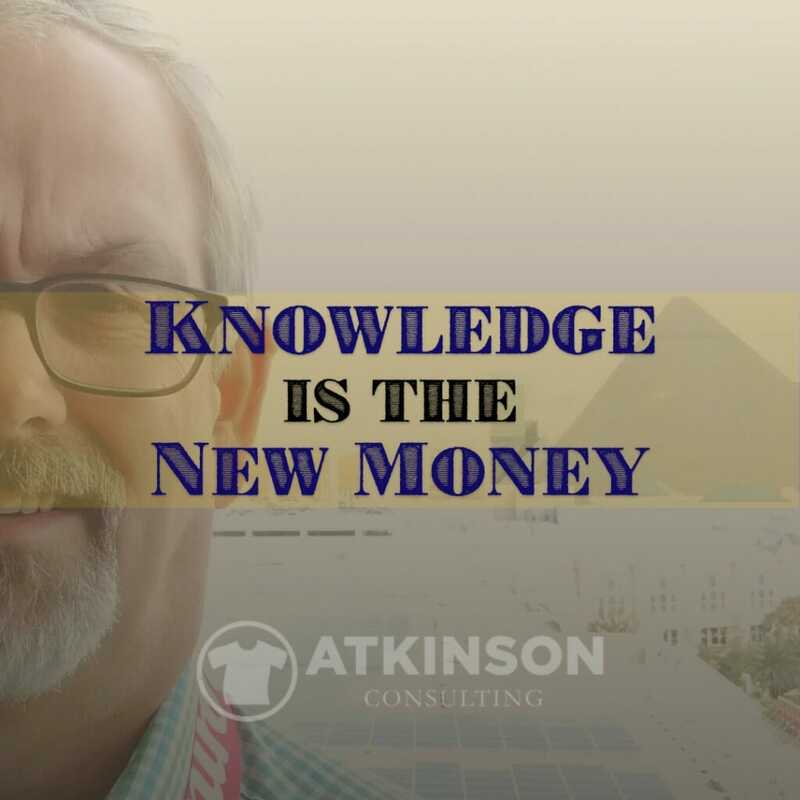 As other people learn that knowledge it can become commoditized, so it is less valuable. That’s why there is a race to grab market share when something is new to the industry. They know that they can’t get that from their office chair. Although acquiring knowledge is a fun and noble idea, using it as a multiplier to increase sales or develop a new strategy is sometimes better. The obvious end result could be gaining a new job, a new customer, or increasing your reputation as a thought leader. This only happens with how well you communicate that you understand and can use this knowledge. Just keeping it to yourself doesn’t do you much good in the long run. Using this knowledge in some way propels you to the forefront. These days you need to be learning constantly to keep up. There is simply too much disruption and change happening. You should be taking steps to make sure you are doing all that you can to be at your peak. First, find the time to read, listen to podcasts, or talk to others to broaden your perspective and get a deeper insight into new ideas. This is an on-purpose event. Make room for this on your calendar. Personally, I like to read in the morning with coffee, and at the end of the day before going to bed. It’s a learning sandwich with my busy day in the middle. Also, take notes. I’m serious. I keep a notebook of ideas and things to pursue, but my best results all come from a scribble on a post-it-note. When I read something that I really like a jot it down and stick it to the side of my computer monitor. It just sits there, burning a hole in my brain until I do something with it. I like that daily taunting. I’ll bet many of you often say this phrase, “I don’t have the time”. You wish you could go to the trade show, read that book, or make plans for lunch with someone you don’t know. Instead, you serve up your busy-ness as a talisman that might protect you from some sort of commitment. But here’s the thing… Are you “busy being busy”? What I’ve learned is that the most successful people block out time for knowledge gathering. They look forward to it. These are the people that attend the trade shows, networking events or social parties. They participate in causes. When a new book shows up, or a podcast is released they can’t wait to dig into it. Because they have learned over time that somewhere in all of that is that kernel of an idea that is going to make a difference. They can take that kernel and grow it into something new. That knowledge is incredibly valuable. So I’ll end this article with a question. Want to learn how I can help you with your business? Let’s connect! Reach out to me and let’s get started today!